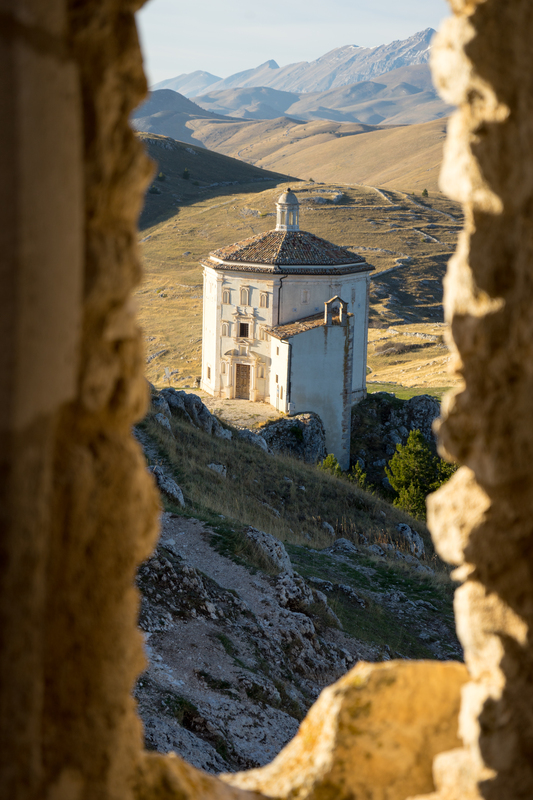 Standing next to Valpolicella giants such as Masi and Allegrini and superstars such as Quintarelli and Dal Forno, La Giaretta sits out of the spotlight quietly producing its good value, quality wines. We had the privilege to visit this small, family run winery in Valgatara in Marano in the heart of the Classico zone (the historical district) of Valpolicella. The small stones in the soil are called “giaretta” and it is this characteristic of the soil that gives the winery its name. 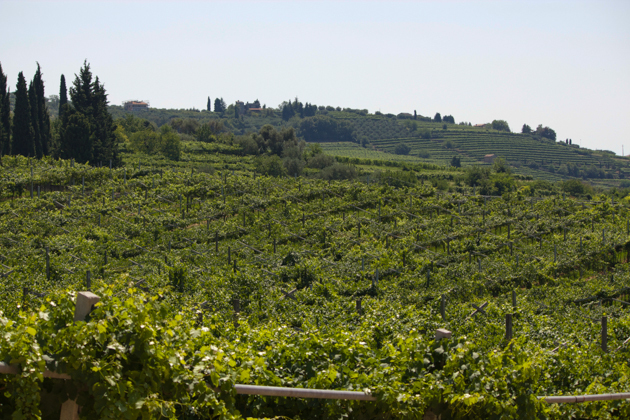 La Giaretta is a classic example of the evolution of winegrowing by families in the area. 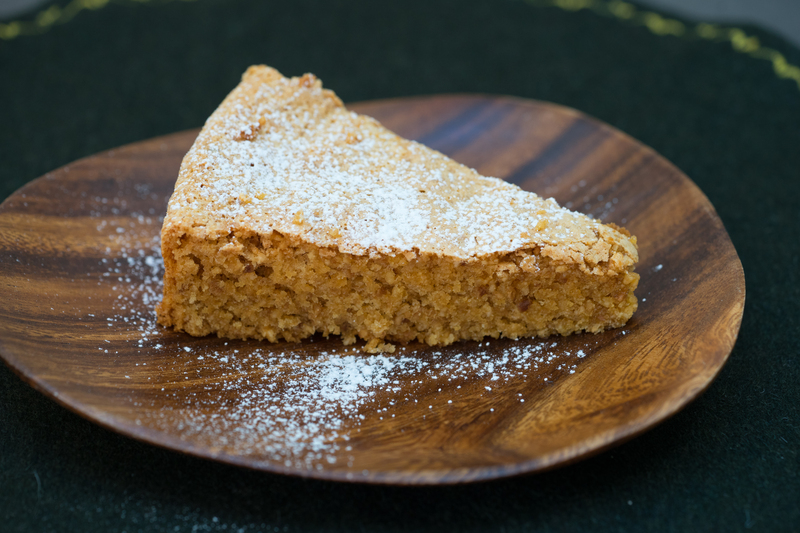 The family, like many families in the area, used to grow the vines in paraveronese style so that the vines would create a canopy and underneath they would grow crops such as corn or tomatoes. They would sell their wine in large tanks or big bottles. 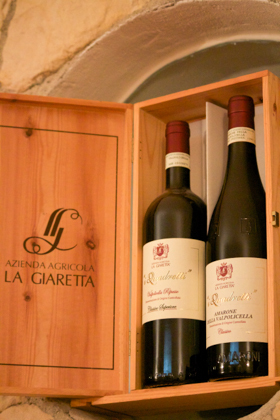 In 1990 La Giaretta started more carefully crafting their wine and started selling the wine in wine bottles. Today they grow only grapes in the vineyards with grass in between the rows of vines. The grass provides the correct amount of competition with the vines for nutrients and water. The majority of the vines are now grown in the low-height Guyot system, which is more difficult to maintain because the vines produce a lot of leaves which need to be cut frequently, although there are fewer grapes. 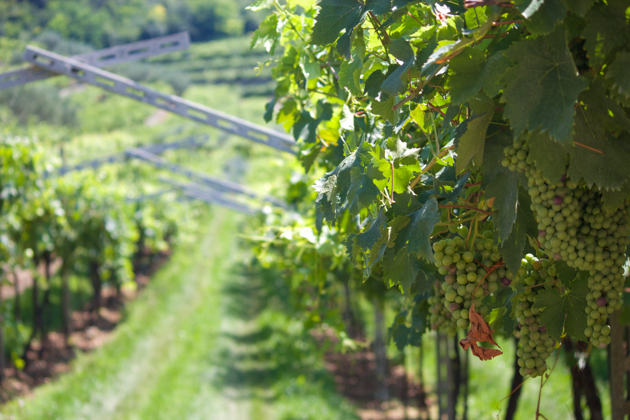 La Giaretta only use their own grapes so that they can ensure the quality remains constant. They produce 80,000 bottles a year. The winery has 10 hectares in 3 of the 5 zones of Valpolicella Classico: 6 hectares in Marano di Valpolicella, 2 hectares in Negrar and 2 hectares in San Pietro in Cariano. The Classico zone is known for producing soft, elegant wines. 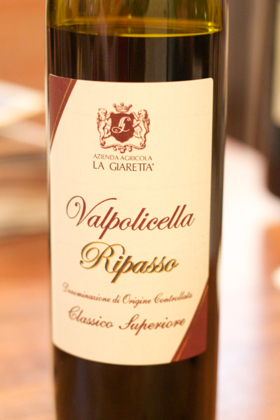 La Giaretta make six traditional wines of the area: Valpolicella, 2 Valpolicella Ripasso, 2 Amarone and Recioto. 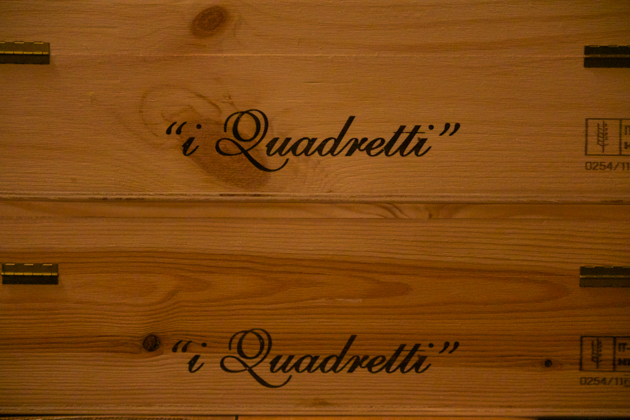 Their prized vineyard is in Valgatara in Marano and is named “I Quadretti” (meaning “squares” because the land was divided into equal squares). 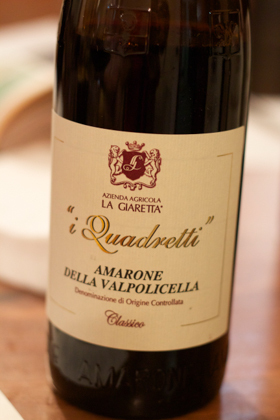 It is from these hillside old vines with the best sun exposure that they make their top wine, I Quadretti Amarone. 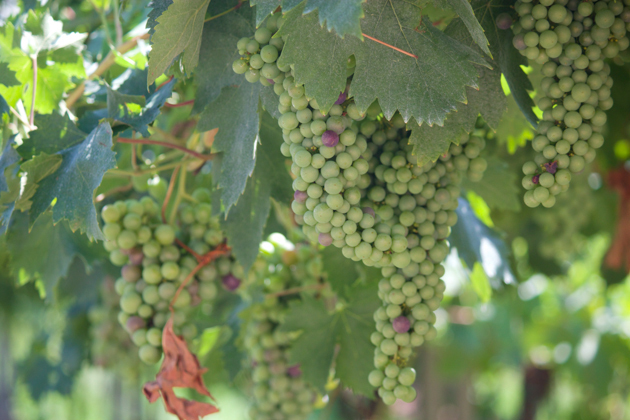 They use the high quality Corvinone and Corvina grapes as the majority grape in their wines, with smaller amounts of Rondinella to add colour. 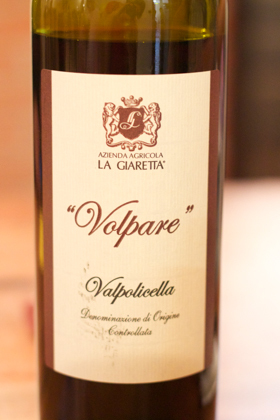 Their entry wine, Volpare, also includes some Molinara grapes which add acidity and freshness to the wine. The vines are well pruned and the leaves thinned to create a more concentrated wine. The same people harvest the grapes every year, being careful which grapes they select as broken grapes bring mosquitos which lead to mould when the grapes are dried. They need to work precisely but quickly before it rains. There used to be a small house on the vineyard which was used for drying the grapes. 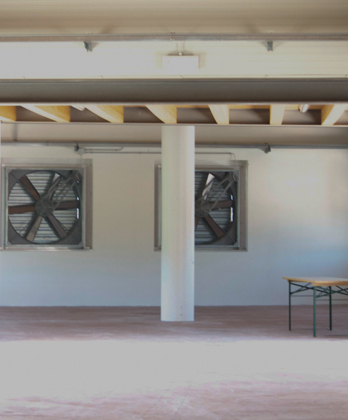 Today they are dried in a room in the winery which has computer-controlled windows that close when it rains and fans to dry the grapes. In January, with snow on the ground, the grapes are moved for pressing. They are aged in small French durmast wood barrels which the winemaker prefers as they are thin and allow some oxygen in (although the barrels need to be topped up occasionally to ensure the oxygen doesn’t ruin the wine by turning it into vinegar). 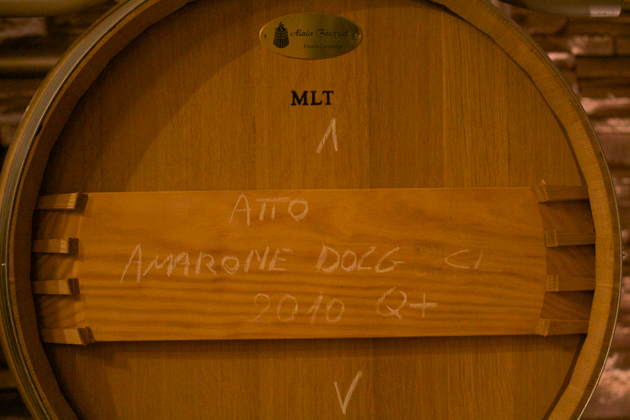 The new barrels are reserved for the I Quadretti Amarone and they are then are used for the estate Amarone and Valpolicella Ripasso. 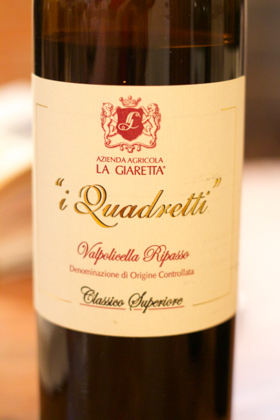 I Quadretti Amarone is aged for 3 years in barrel and the estate Amarone and Valpolicella Ripasso for 2 years in barrel. After 5-6 years, the barrels are replaced. The wine then passes through 3 microfilters before being bottled. 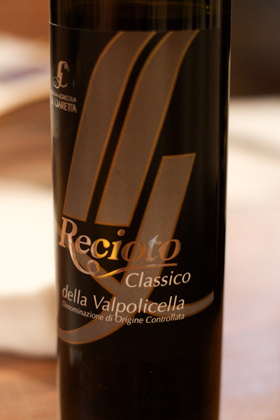 Although Amarone is internationally considered to be Valpolicella’s top wine, Recioto (which can only be red in Valpolicella), a passito-style sweet wine, was traditionally the most revered wine and was the symbol of Valpolicella. A winery’s Recioto is considered to be a representation of the character of the house. 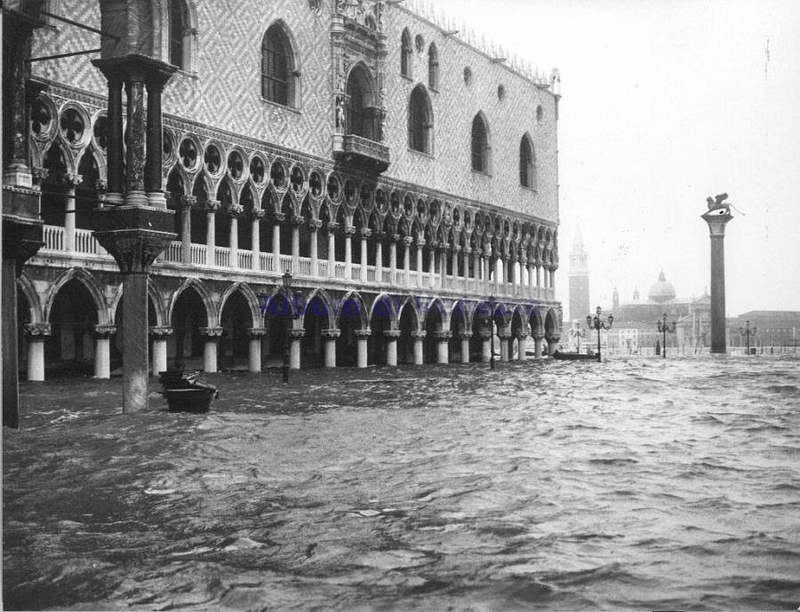 Amarone was considered to be “ruined” Recioto which had been allowed to run away (the fermentation was not stopped in time before the sugars were eaten by the yeast) and was historically sold to the peasants. The dialect spoken in Valpolicella is closer to Spanish so the word “recioto” comes from the Spanish word for “ears” and refers to the use of the tops (the “ears”) of the bunch of grapes. 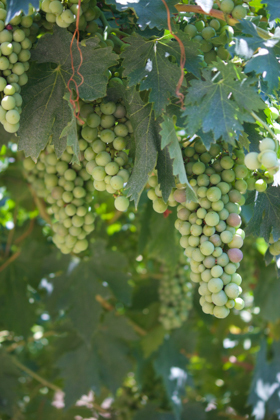 The “ears” of the bunch and the bunches closest to the trunk of the vine are considered to be the best. Their wines are exported to Northern Europe, North America and China. This is their entry-level wine. 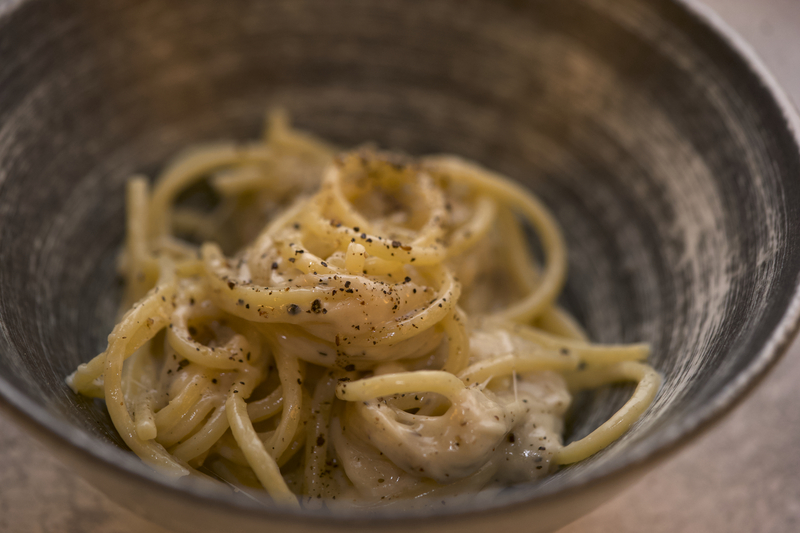 It is made with Corvina, Rondinella and Molinara grapes. We tasted the 2013 vintage when we visited. They produce 20,000 bottles per year. Serve: Serve at 18°C or chilled during the summer. This wine is made from the fresh Volpare, which is left to sit on the dry skins of the pressed Amarone grapes to take the colour, structure and flavour (the alcohol increases from 12 to 13.5% in this process). The juice is aged in barrique for 2 years and then in the bottle for an additional 5-6 months. We tasted the 2011 vintage when we visited. 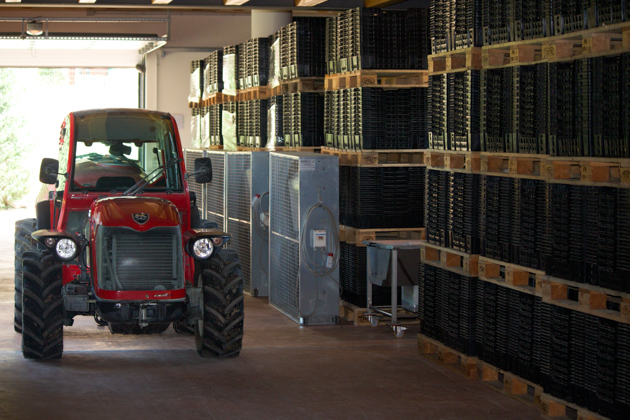 They produce 20 – 25,000 bottles per year. Pairing: cold meat and salami, strongly flavoured main courses. 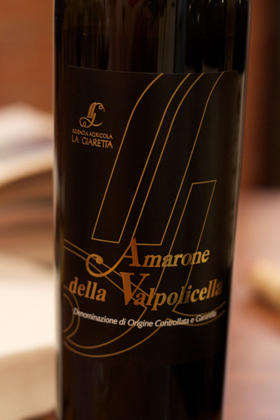 This wine is particularly good value and is known as “baby Amarone”. The grapes come from the oldest vines in their cru vineyard. The grapes are partially dried for a month and then left to sit on the pressed skins of the Amarone grapes for 20 days. The juice is then aged in barrique for 2 years and then 6 to 7 months in the bottle. We tried the 2009 vintage during our visit, which we enjoyed and bought some bottles of when we got home. 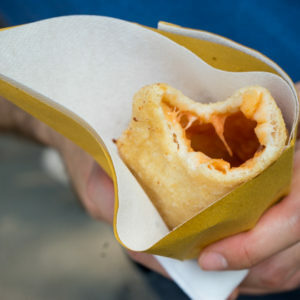 It has flavours of cherries, forest fruit and spices. They produce 5,000 bottles per year. This wine is made with the best grapes from estate vineyards which are dried on wooden grids before pressing. The juice is then aged in barrique for 2 years and then again in the bottle. This wine is made with 40% Corvinone, 40% Corvina and 20% Rondinella grapes grown on the oldest vines in the best vineyard of the winery. 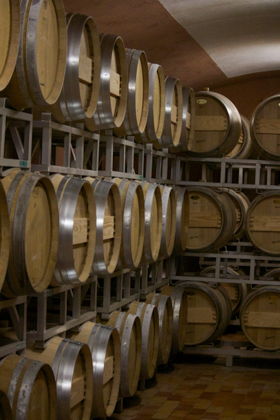 After drying and pressing, the grapes are aged for 3 years in barrique and 10-12 months in the bottle before release. It has flavours of cherries and wild berries. There are 2-3,000 bottles produced every year. This wine is produced using the same method as Amarone but the grapes are left to dry for 2 months longer (until March) so that the must can concentrate and the fermentation is stopped halfway through to preserve the residual sugars. We tasted the 2007 vintage when we were visiting. They produce 2,000 bottles per year. 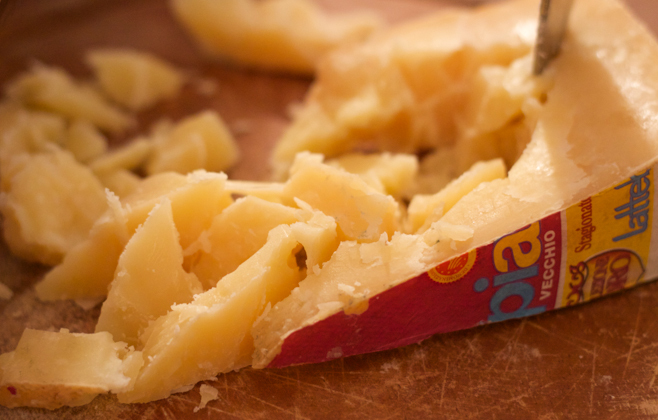 « Cellar Visit: Dal Forno: Worth the hype?